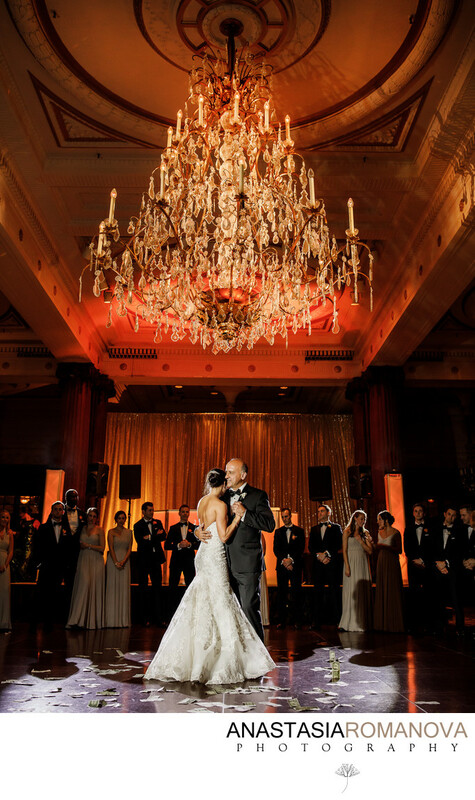 Philadelphia Crystal Tea Room, one of the Finley's exquisite wedding venues, is located in the heart of center city Philadelphia and is an incredible gorgeous place for wedding celebrations! It boasts a huge capacity and can work idealy for large weddings as it can fit up to 900 guests! When photographing a wedding in Philadelphia, it is crucial for us as wedding photographers to deliver not only beautiful outdoor photographs in the city, but also incorporate the pictures of the bride and groom inside their wedding venue that highlights the key features of the place they celebrated their marriage. You probably have spent a big deal of effort and time to find a venue that fits your personal and wedding style and that can wow your guests. You've also chosen the venue because of its beautiful and unique decor and the way it makes you feel, the atmosphere it renders. As the wedding photographers, we absolutely understand how meaningful all this is for you. And we always strive to create some unique, stunning photographs with just two for you at the place where you got married in a way that will exceed your expectations. 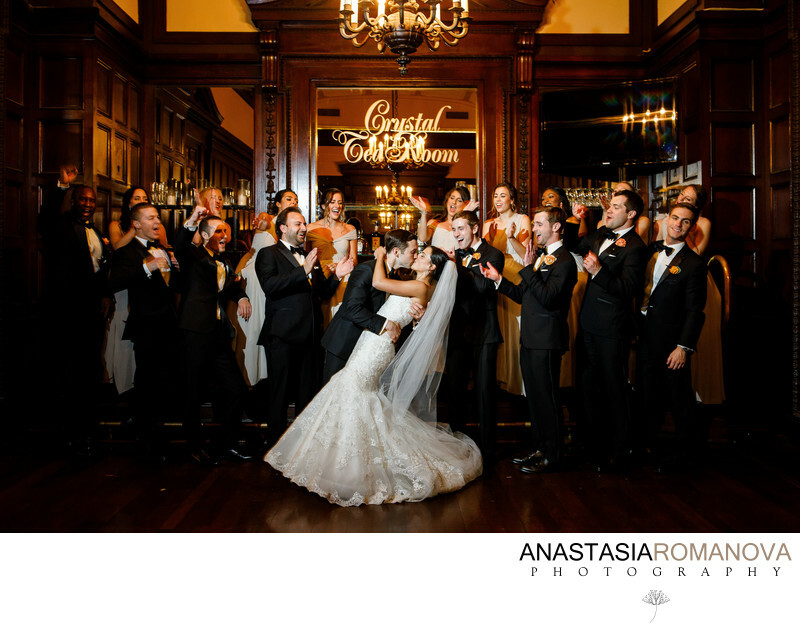 The photograph above features that bride and groom at Crystal Tea Room before the wedding reception. The gorgeous crystal chandelier in the center of the dance floor is one of the key features of this magnificent Finley's wedding venue and we wanted to incorporate that into one of the portraits of the bride and groom. Location: 100 E Penn Square #9B, Philadelphia, PA 19107.